Shake before use. Test on an inconspicuous area first if unsure of colour-fastness of a fabric or to check if surface or fabric to be treated can tolerate a water based product ( such as silk and some wood furniture). Stain Removal: Laundry: Use as a laundry pre-wash spray. Apply directly on to stain and allow to soak for 5 minutes. Repeat if necessary and launder in washing machine with ECOS laundry Liquid. Upholstery and Carpets: Spray directly on to stain, saturate well and leave to soak for 5 minutes. Mop up excess with a paper towel or cloth. If stain persists, reapply and soak overnight. 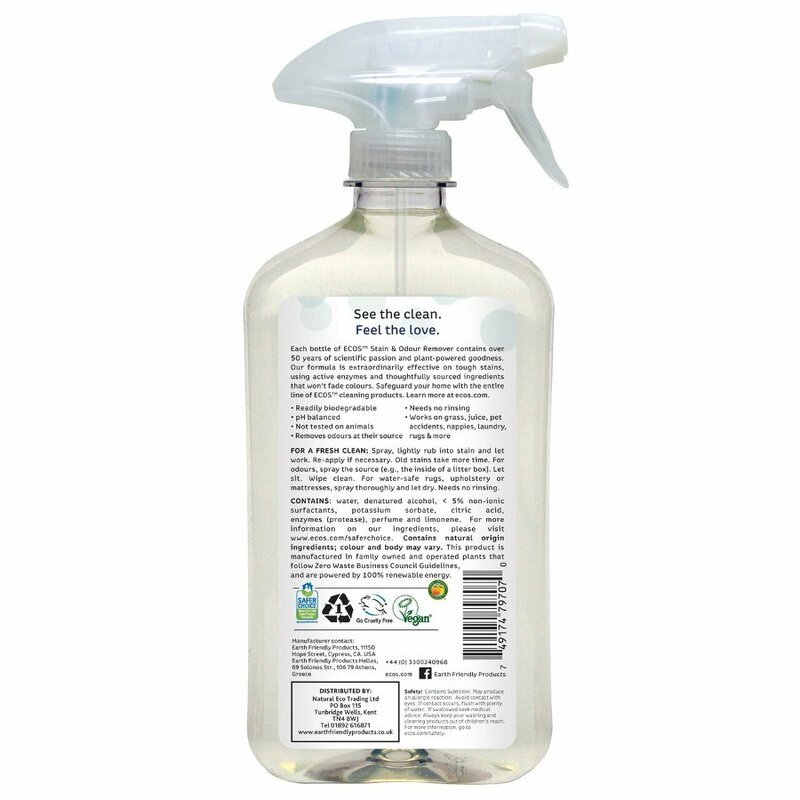 Odour Removal: Saturate source of odour and leave overnight if necessary. Odour may persist while product is working. 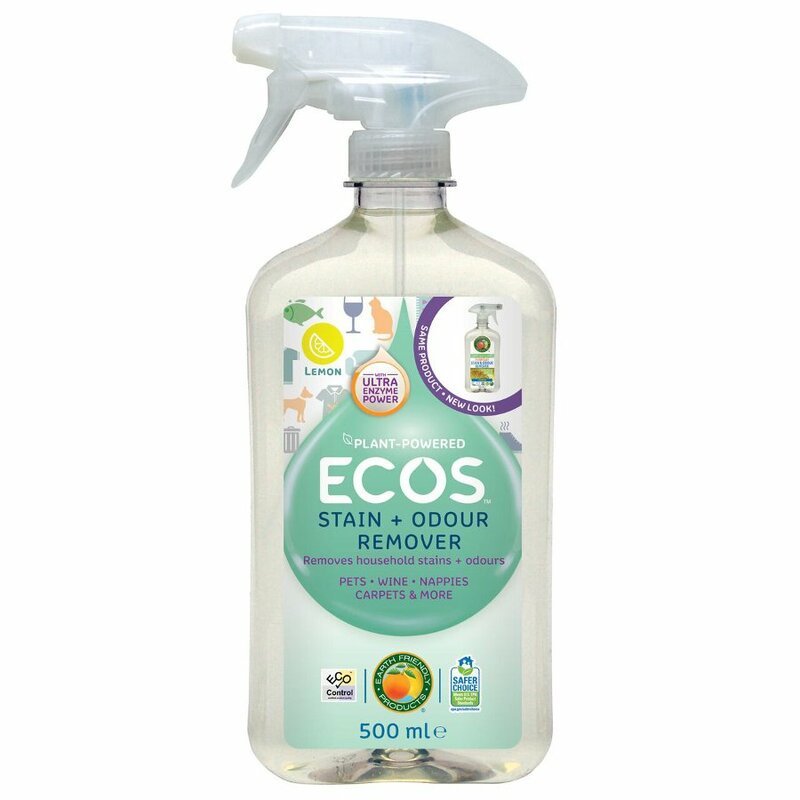 The ECOS Stain & Odour Remover - 500ml product ethics are indicated below. To learn more about these product ethics and to see related products, follow the links below. Not quite what I was expecting - more 'wet' than approceiated. Daily wash. Has removed some tough stains easily. No damage to any of our colours. Easy spray with a nice light crisp scent. Will continue to use !